Winter is absolutely brutal for my skin. The freezing cold, super dry air makes for dry blech skin. Throw in a few days of 70+ degree temps and forget about it. My face is a mess. About a month ago, I started noticing more breakouts. Once I got over my teenage years, I was blessed with pretty clear skin. Sure I'd have the occasional breakout, but nothing I couldn't handle. I could not figure out this recent breakout fest my face was participating in. Was it my diet? I cut out all sugar. That helped, but I was still noticing little blemishes. I wasn't on my period, wasn't pregnant, so excess hormones couldn't be the issue. Was my makeup causing it? I stopped using one product and I bought new face make up, maybe mine was old? Nope, nothing, still breaking out. My skin care routine has always been super basic. Great cleaner, toner and night and morning moisturizer. It's always worked for me. I wash my face in the morning and night and never really put much effort in to my skin because for the most part it cooperated with me. I've never been super dedicated to one product or another but am always willing to try new stuff. I knew after this last rush of breakouts I had to try something new. I went to the mall to find a solution and stumbled upon Lush. Now, we all know what Lush is, the amazing smelling place in the mall. Its filled with colorful bath bombs, great smelling lotions and the best lip tints ever. I went in and began searching for the best mask. A man approached me offering to help and I couldn't notice how nice his skin was. I told him my small back story about mini-blemishes and how I just wanted something to clean my pores. Before saying a word, he directed me to this mask. He suggested starting once a day for 4-5 days and then every other and then once a week. Sold. I ran home, washed my face and on the mask went. Adam even joined me! It is the cleanest, tingling feeling mask ever. Day 4 and I could totally see a difference. My skin is brighter, my pores are tighter and cleaner and my skin looks so rejuvenated. Now, if you're one of the lucky ones with tiny pores, I have a few other masks I LOVE and for different reasons. Let me be clear, I'm not a dermatologist, I use what I like and how it works for my skin. Always be careful when trying new products as you might have a reaction you didn't quite expect. I always talk to people when buying skin products about my own skin and any concerns I have. What to use: See below- I listed by 4 favs! How to use: Apply that mask! Why: Clear skin, bright skin, smaller pores and happier faces! 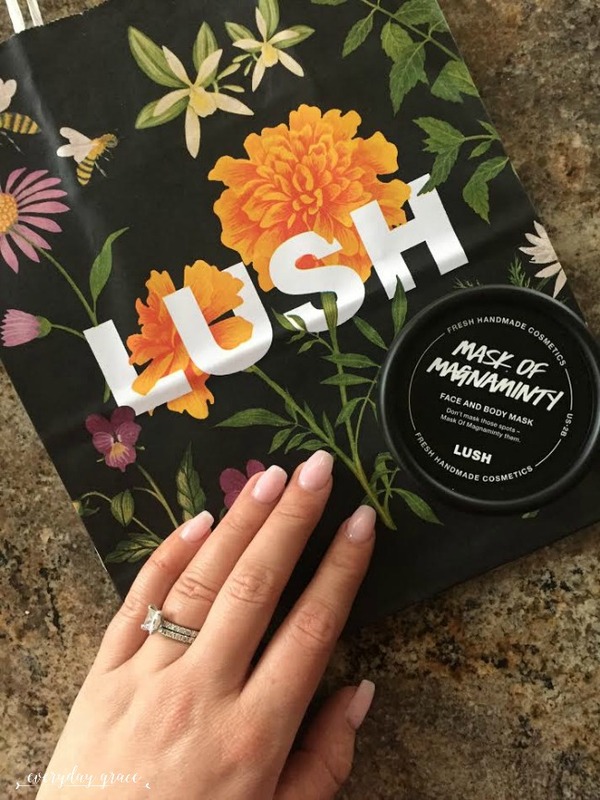 Lush: Mask of Magnaminty: This tingly, minty face and body mask was formulated to be intensely cleansing but never harsh or abrasive. Kaolin clay and peppermint oil rid your pores of debris, giving you a delightfully tingly clean sensation. We add loads of ground aduki beans to exfoliate flaky or dry skin, vanilla absolute to calm redness and honey to soothe and moisturize. Be prepared to look a little goofy with it on, but glorious when you wash it off. I use a gentle moisturizer after I use this mask and it is the most refreshing feeling ever. Lola may or may not have tried to lick my face while this was on. See, everyone thinks it smells good! 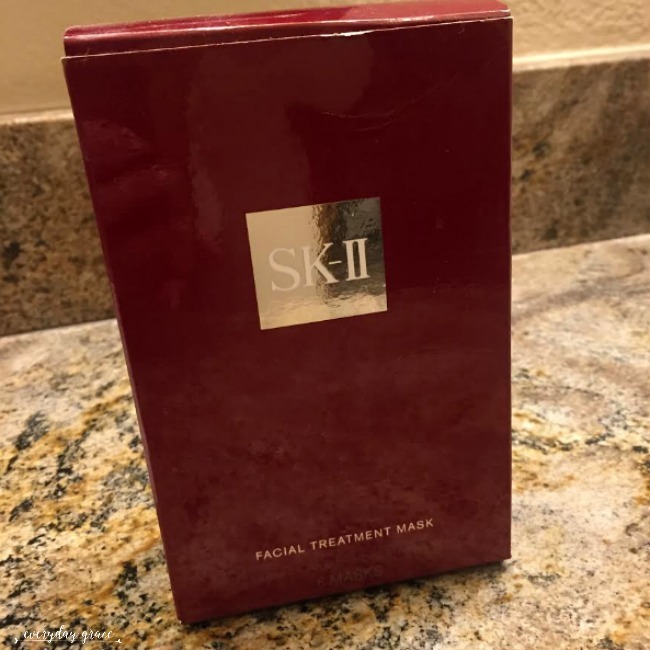 Sk-II Facial Treatment Mask: A luxurious facial mask with an indulgent concentration of Pitera in a single application. Your skin is immediately and exceptionally immersed in moisturization, resulting in a visibly radiant and crystal clear complexion. 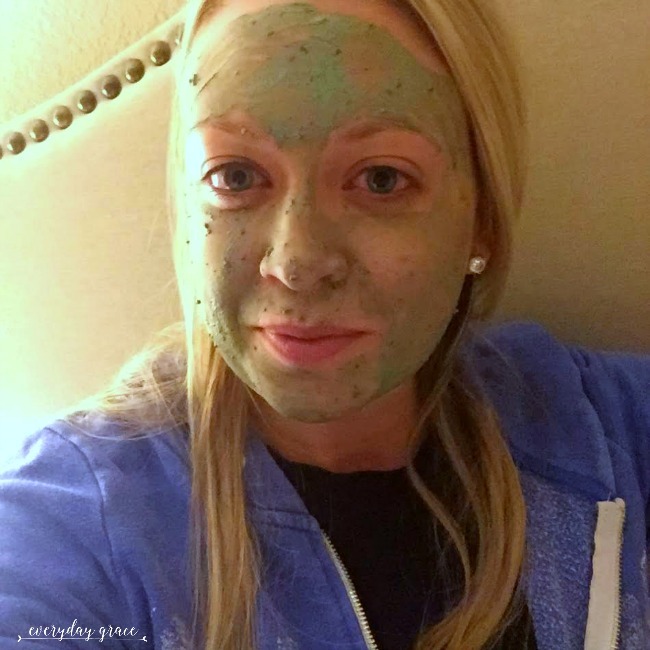 If you are looking to replenish moisture to your skin, this mask is for you. You will feel instantly rejuvenated. This mask is perfect for those cold harsh winters. It's Adams favorite - yes men can wear face masks! 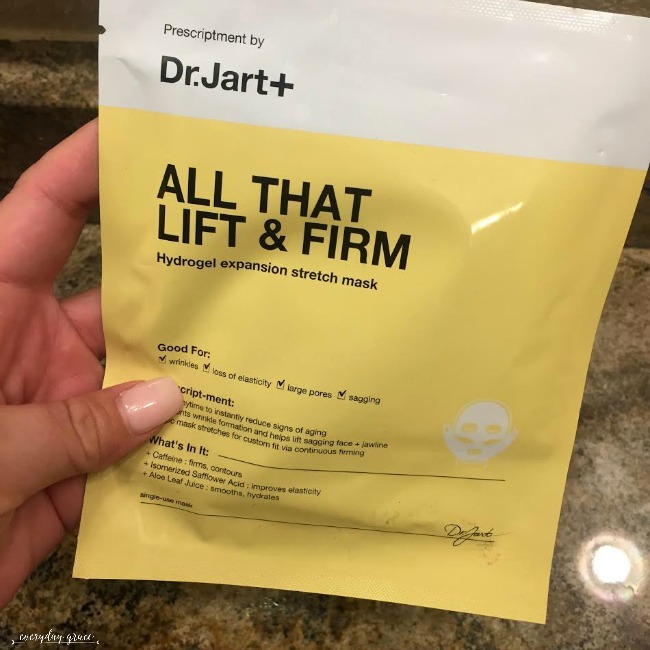 Dr. Jart+: All that Lift and Firm: A specially-designed mask that achieves the appearance of skin-lifting and elasticity improvement. Wanna tighten your skin? Look jowls? Chin? Neck? This mask is for you. It is designed to increase elasticity in your skin. I'm so down for this because I'm scared of needles and am not quite ready for Botox or a lift. They don't sell the lift and firm, now its called contour but it's the same stuff! 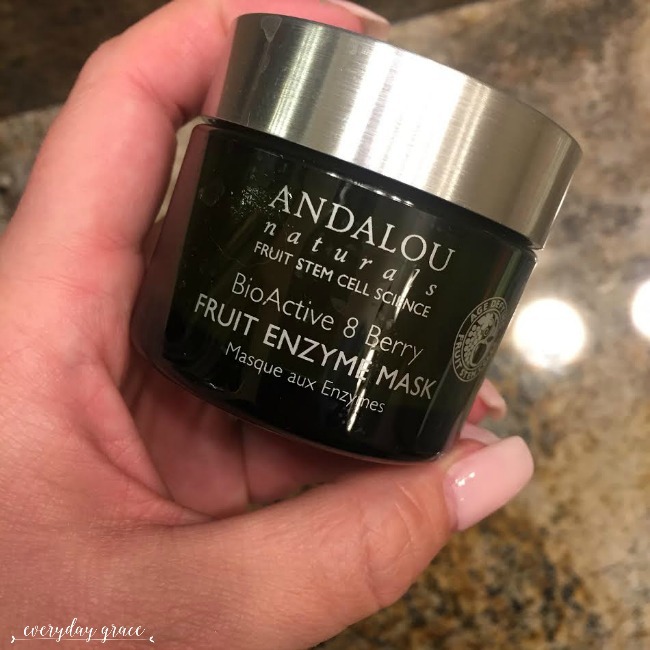 Andalou Naturals: Fruit Enzyme Mask: Fruit stem cells, resveratrol CoQ10, and bioactive 8 berry complex help support dermal vitality as fruit juice enzymes gently dissolve and exfoliate dull, dry surface cells to reveal skin’s natural glow and a rejuvenated complexion. I love this mask. No tingling, no burning. It's gentle and refreshing. It's purpose is for those of us with very dry skin. I wanted something that instantly made my face feel fresh and moisturized. This is that mask. And, I bought it at Whole Foods, score! Happy Wednesday friends! What are your favorite skin care products? Let's finish out this week strong with a giveaway! Lush has the best hand lotion ever! This is my fav - and you get a chance to win one! Enter the giveaway below!! Oooh my daughter and I are a little obsessed with Lush! Love all these options! 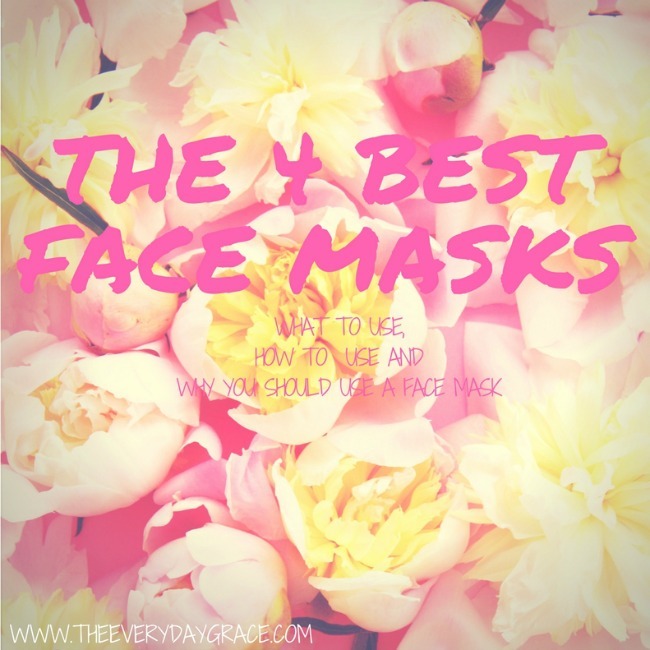 I always love trying new face masks, many may not believe they work but they do wonders over time! I love that Lush mask so much! My favorite is their "Don't Look At Me", but their Mask of Magnaminty is a close second!